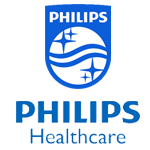 Memagi Medical Imports PLC is the authorized distributor of Philips Healthcare medical equipment in Ethiopia. Royal Philips of the Netherlands is a leading health technology company focused on improving people’s health and enabling better outcomes across the health continuum from healthy living and prevention, to diagnosis, treatment and home care. Philips leverages advanced technology and deep clinical and consumer insights to deliver integrated solutions. It is a leader in diagnostic imaging, image-guided therapy, patient monitoring and health informatics, as well as in consumer health and home care. Below is a list of Philips medical equipment product categories, which Memagi Medical Imports distributes in Ethiopia – from import, to installation and after-sales service. Click on the links below for areas of interest. For detailed information on each product category, please contact our offices at (+251)-116-164058.